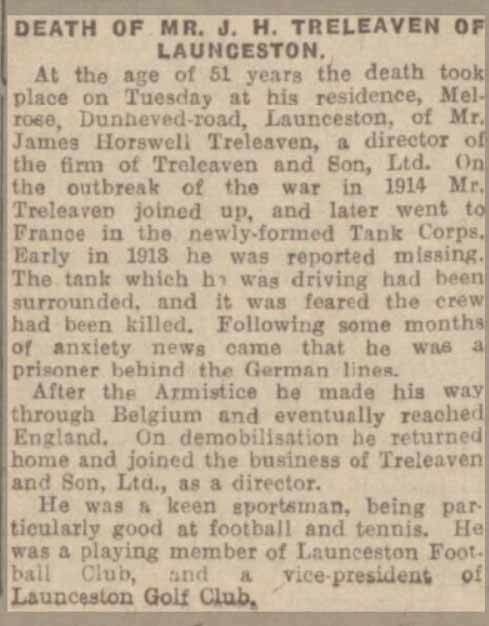 The bio of James Treleaven junior | Launceston Then! James was born in January 1863 at Southgate street, Launceston to James and Emma Treleaven. He was educated at Horwell Boys Grammar school, at Newport. He joined his fathers business on leaving school working as an outfitter. In October of 1887 he married Rose Ann Helson Horswell at Tavistock, Devon setting up home at 1, Ridgegrove Villas, Launceston. Together they had 4 children, James Horswell, Harold, George and Dorothy. 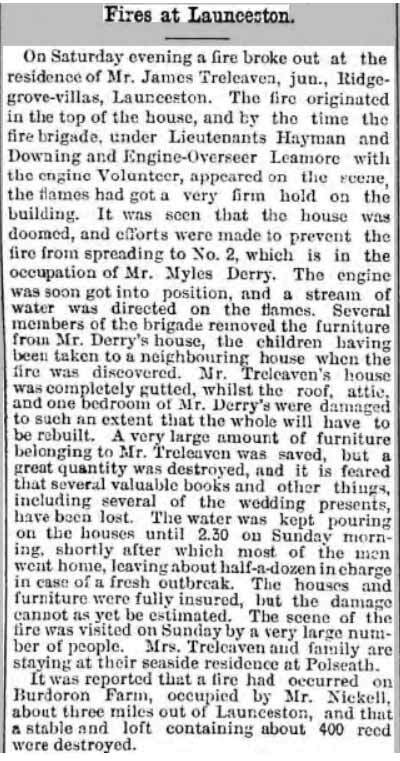 In 1895 the family experienced the devastation of their home catching fire and despite the best attempts of Launceston Fire Brigade the house (below) and a lot of personal belongings were destroyed. 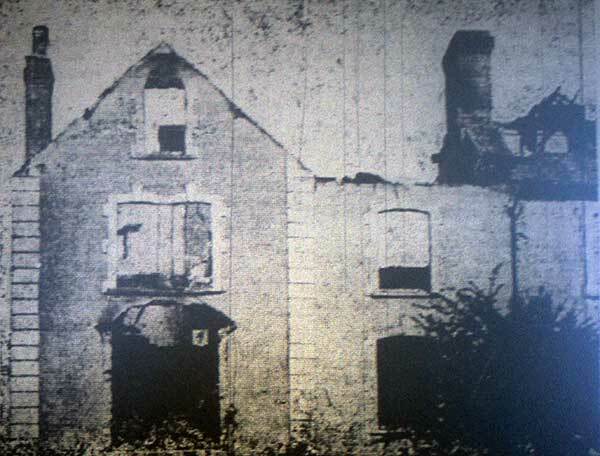 Fully insured, James had the house rebuilt. 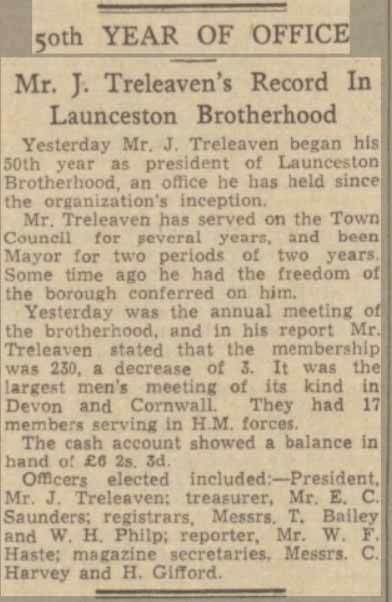 Taking over from his father the business of Treleavens and Son Ltd., under his management the business prospered and a branch was opened in Callington. His public career started in 1883 at the early age of 20 when he introduced the Boys Brigade in the town with the headquarters in the old Congregational Schoolroom in Castle Street, and it was his influence that the Working Lads Institute was begun with James serving as secretary for over 50 years. The building was turned over to the Y.M.C.A. And in 1943 James who continued as treasurer was presented with the Order of the Gold Triangle in appreciation of his 50 years service for the youth of the town. He was also responsible for inaugurating the P.S.A. In 1891, later to become known as the Brotherhood movement and was the President for 56 years holding the office right up to his death. He received the Star Badge of the National Brotherhood movement in recognition of 50 years service. In 1904 at the age of 40 he succeeded in obtaining a seat on Launceston town council, having the unique experience of serving alongside his father. 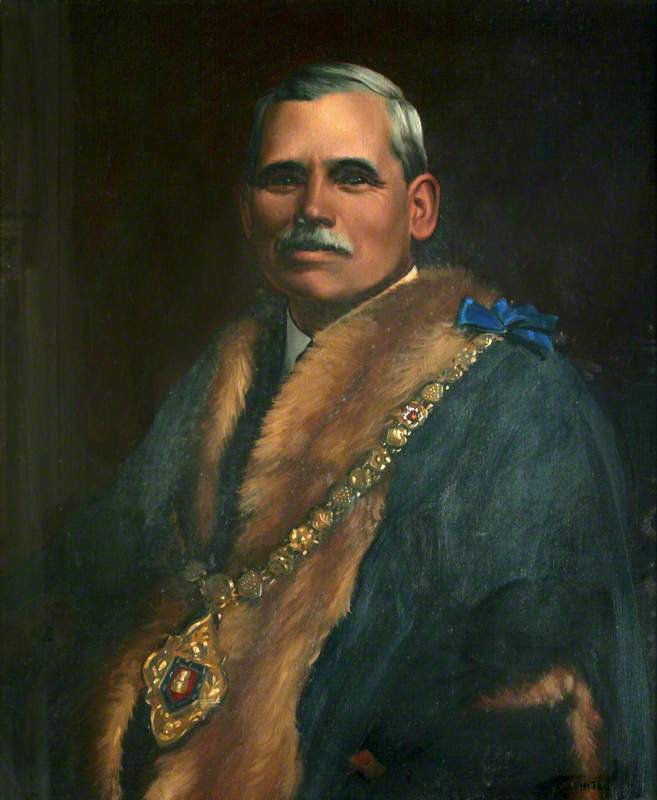 He was Mayor for two successive years from 1919 and it was during his mayoralty that the old butter market was removed and the war memorial was built in its place. Along with Alderman William Symons and Town Clerk Claude Peter, James re-organised the finances of the markets, Debenture Bonds issued under the old Market Act were paid off on terms advantageous to the Council. The Local Act was entirely repealed, and a provisional order extending the powers of the Council and providing for repayment of capital and interest by annual payments, was granted. This re-organisation made possible the many developments in the markets. James was also instrumental in having Cornwall County Council take over the maintenance of 8 miles of main road in the Borough, thus removing the burden from the local rate payers. One of his chief interests was education and he became a Governor of his old school Horwell grammar school and was the first chairman when the school was taken over by Cornwall county council. He was also chairman of the Horwell exhibition which provided scholarships for both boys and girls. He was manager of the Church of England school and a member of the Science and Art classes committee of the Passmore Edwards Institution. During his years on the council he was offered the opportunity to become an alderman, but on each occasion declined in favour of others. He remained a member until 1923. In recognition of his work in 1937 he was made a freeman of the borough (above). James was a life long Liberal and took an active role in the parliamentary elections and for many years he occupied the positions of hon. Secretary and treasurer to the Northern Division of Cornwall Liberal Association. In 1920 he was made a Justice of the Peace for the county. Other offices he filled included that of financial secretary to the local branch of the league of nations union; undertook financial work in connection with the Maternity and Child Welfare centre; a member of the Northey Nursing Association; treasurer of the Y.M.C.A. ; hon. treasurer of the St. John Ambulance from its inception; secretary of the Congregational church; Sunday school teacher; Chairman of the Old age pensions committee; Chairman of Commissioners of Income tax; member of the Municipal Band committee; trustee of St. Stephen’s Advowson Charity; Chairman of the operation fund committee; Manager and trustee of the Union Savings Bank; An original trustee of the Diamond Jubilee swimming bath; Chairman of Municipal charities. He had an uncanny grasp of figures and it was for this and his lucid explanations of finances that he was always appreciated and the reason that he served for so many organisations throughout his life. 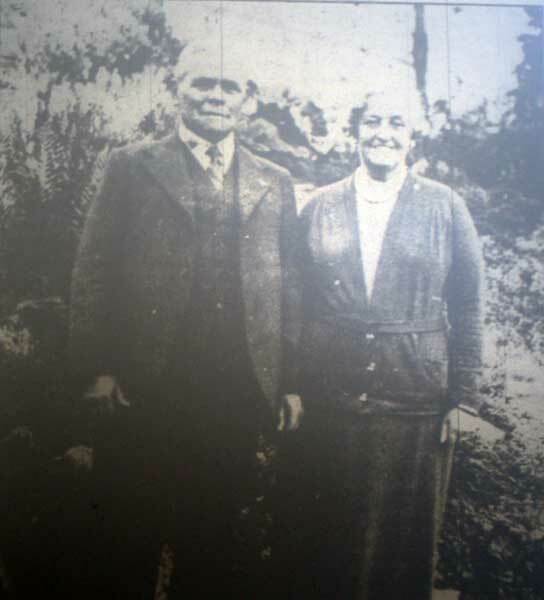 James and Rose Treleaven on their Golden Wedding Anniversary in 1937. In 1937 he and his wife celebrated their golden wedding anniversary (above), and his wife was an active supporter of all his roles. He died on the 12th of June 1946 at Launceston hospital at the age of 83. He bequeathed the sum of £10,458 9s. to George Leslie Treleaven outfitter, Jim Treleaven solicitor and John Dingley bank manager. His wife Rose passed away three years later in December 1949.